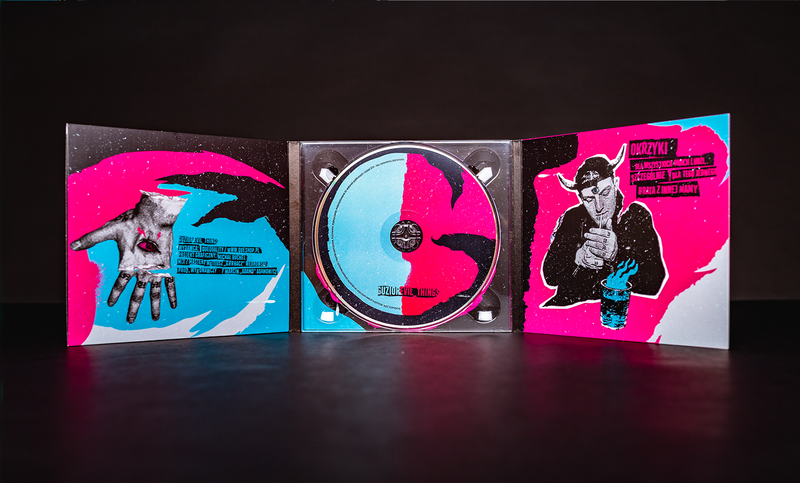 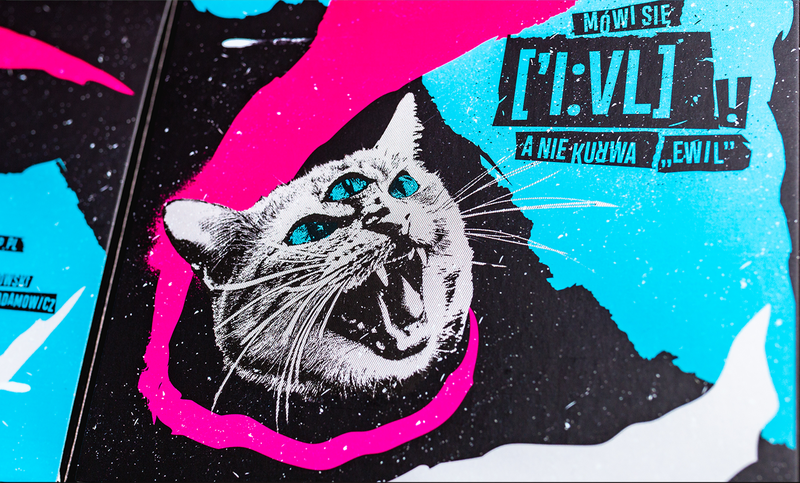 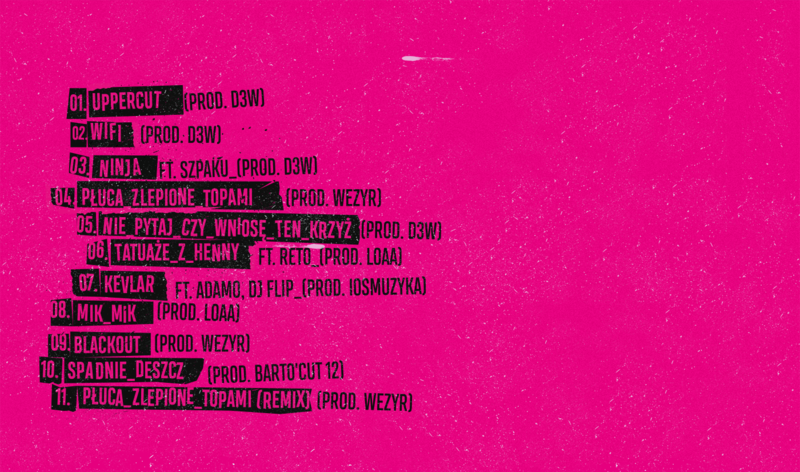 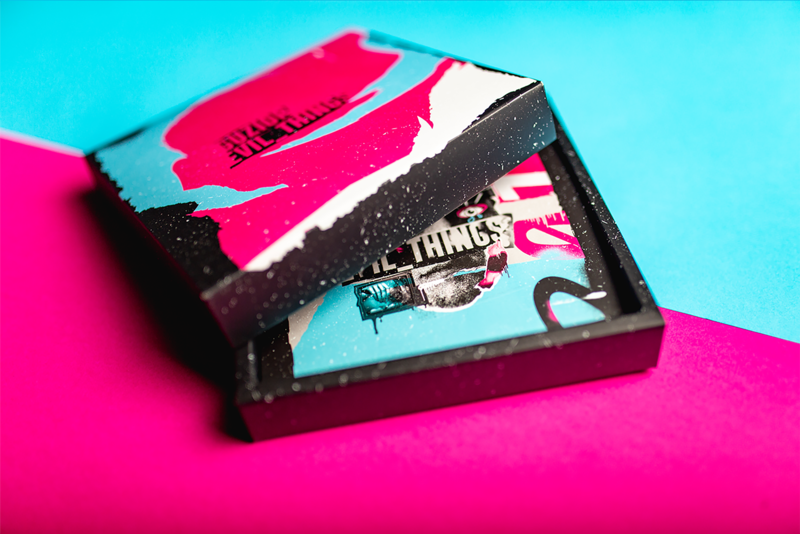 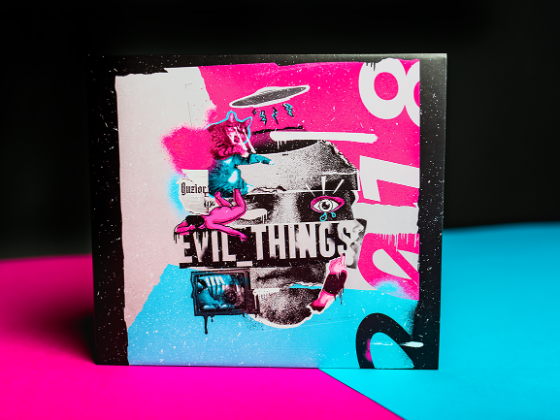 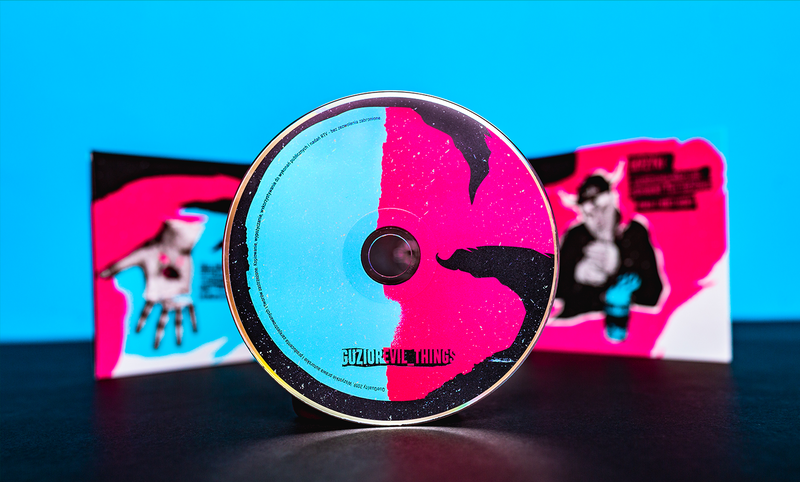 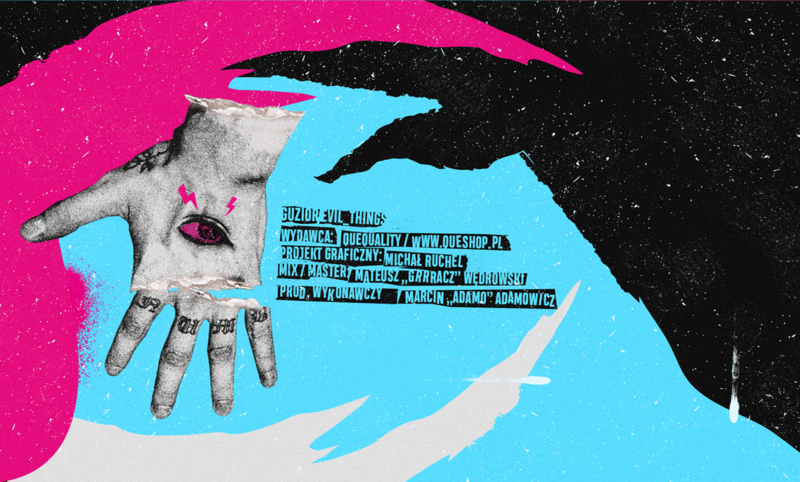 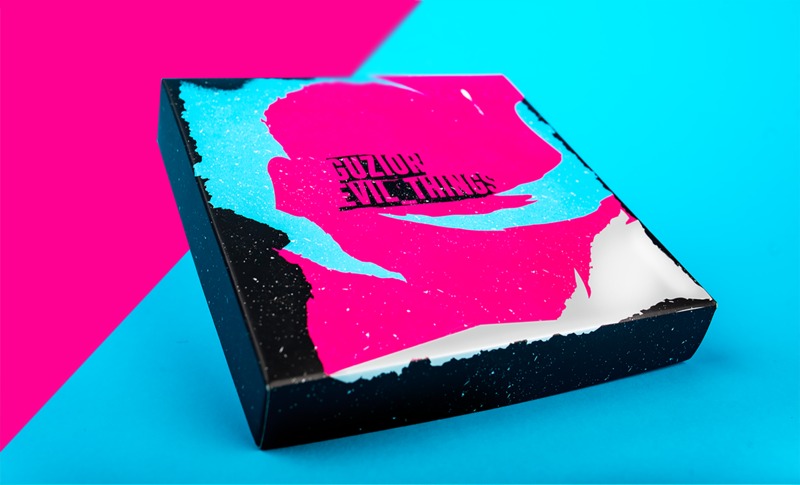 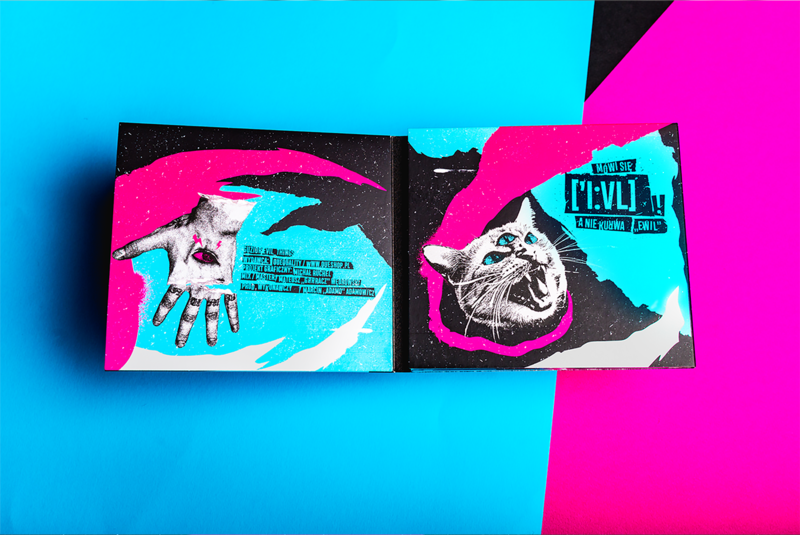 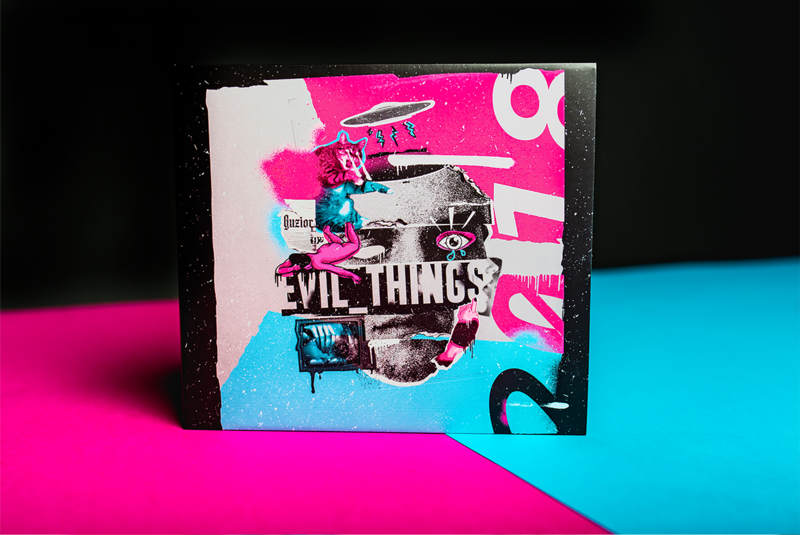 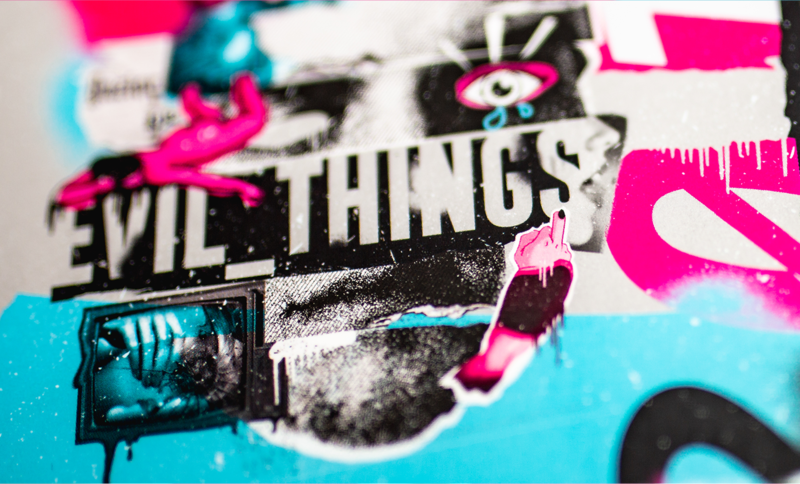 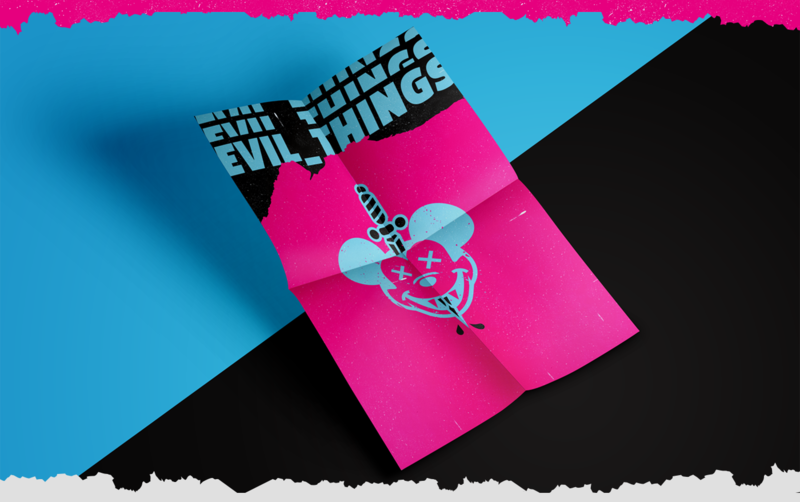 Special & limited edition of digipack for new album "EVIL_THINGS" by polish rapper Guzior. 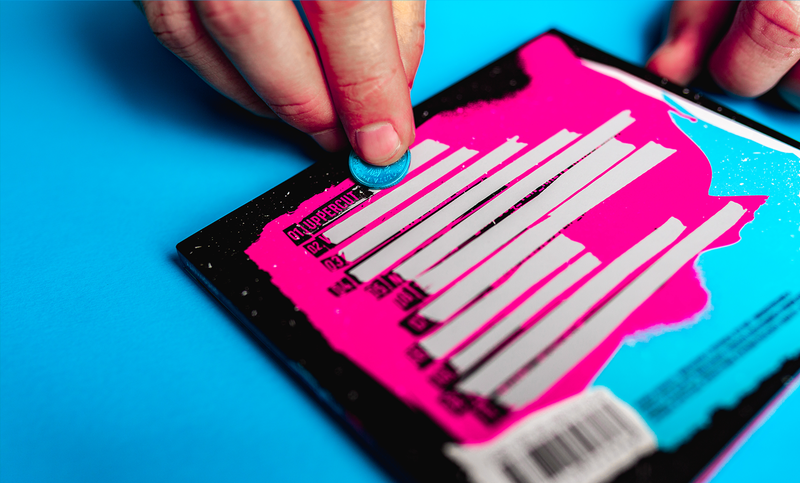 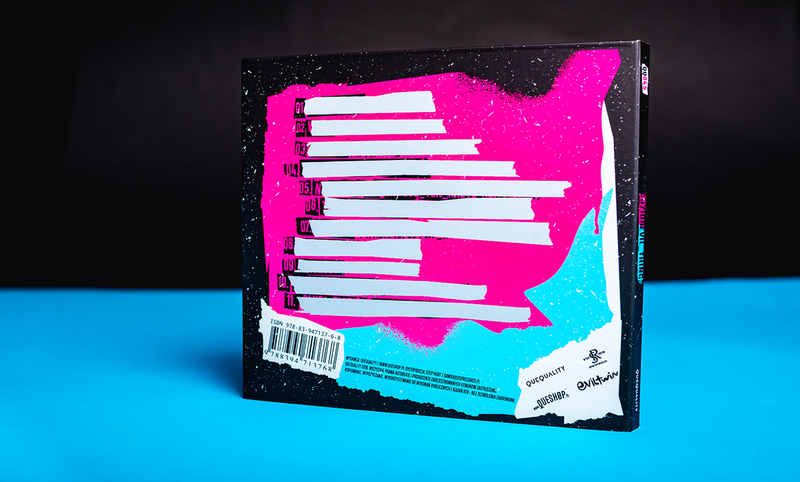 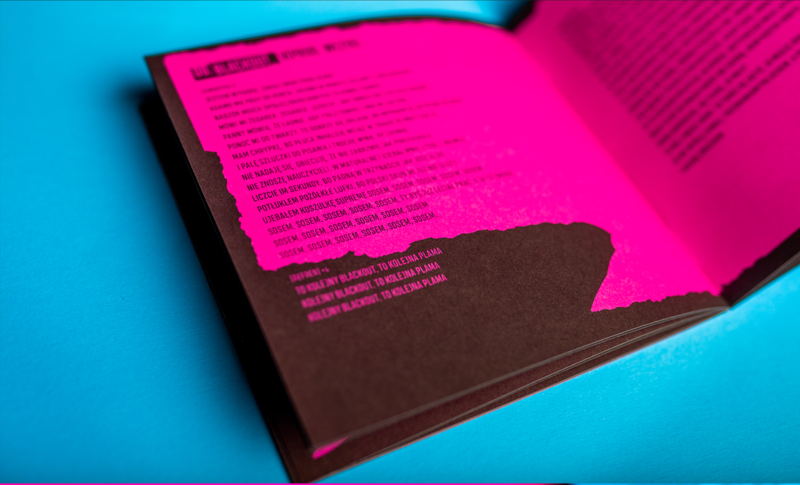 The digipack's pre-order version has hidden tracklist by scratch print so only people who bought this version found out first about song titles. 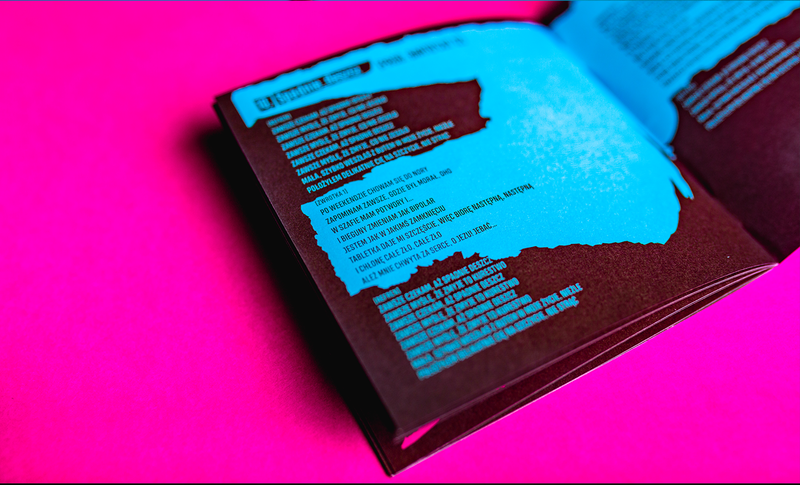 In addition, there are stickers, poster, t-shirt, booklet with lyrics in the box. 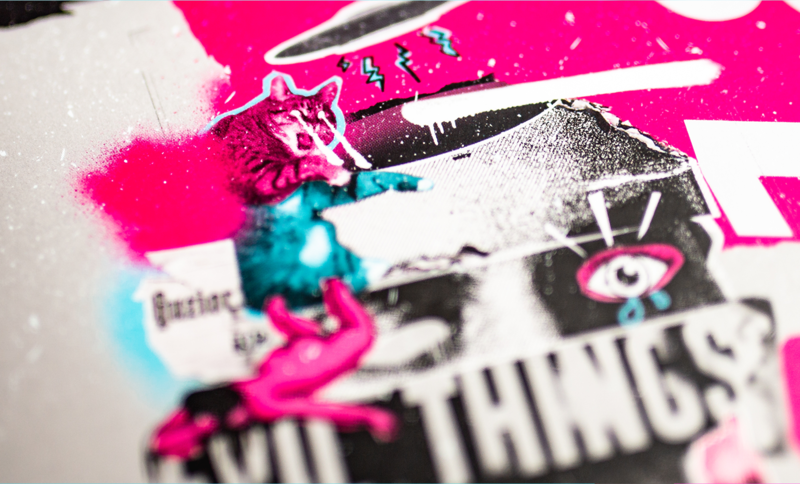 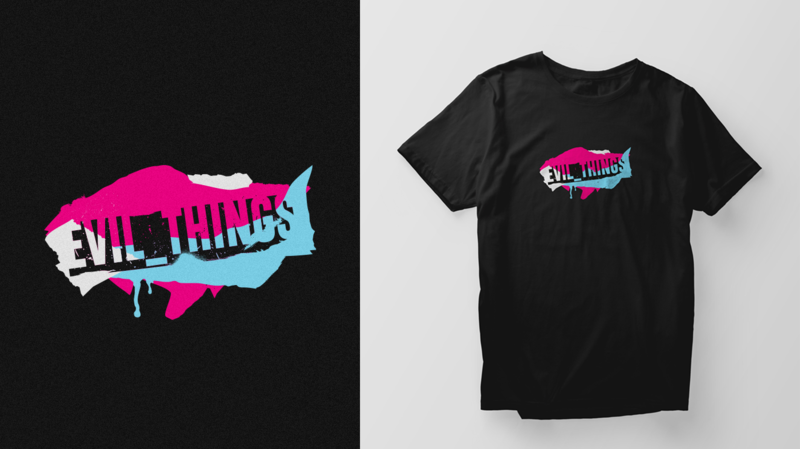 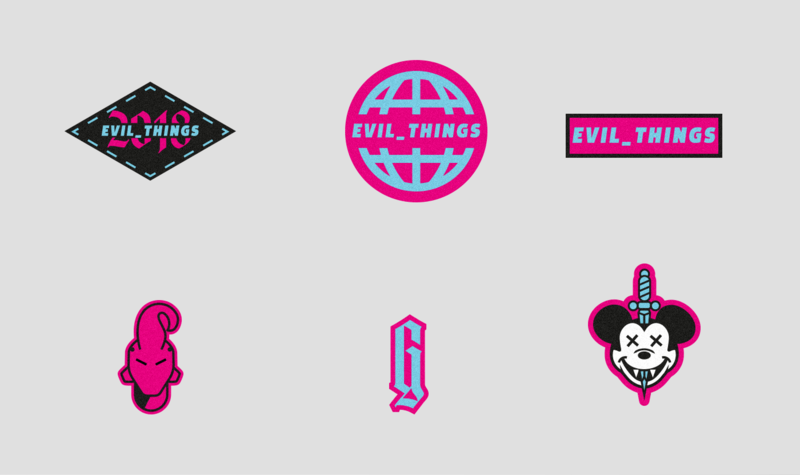 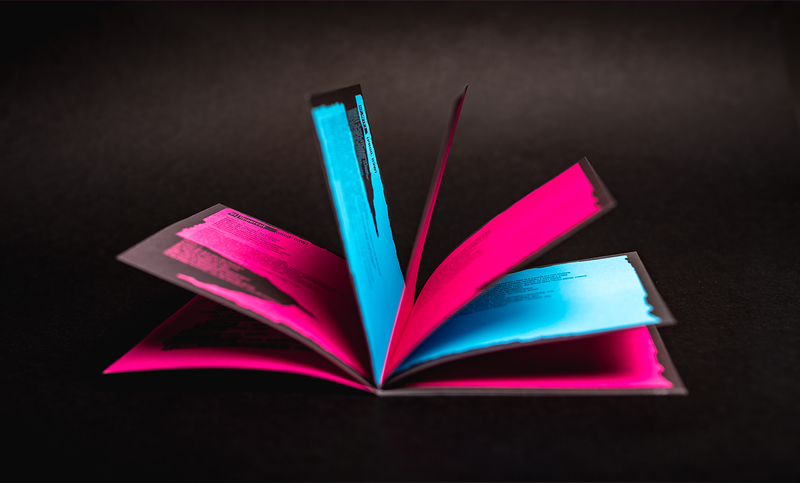 All graphics are shows dynamic, dirty, trash style with sharp pink and blue colors (like the garage, punk&skate style, #vans). 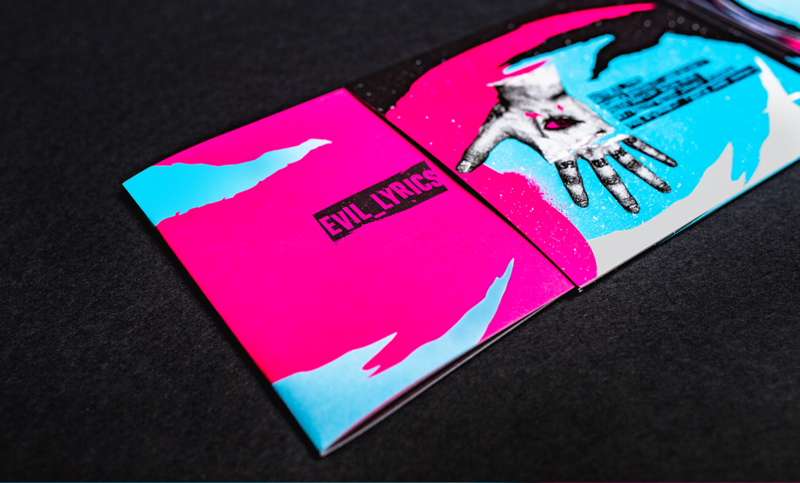 The portraits made in collage "evil" elements/form of the rapper is on the cover.